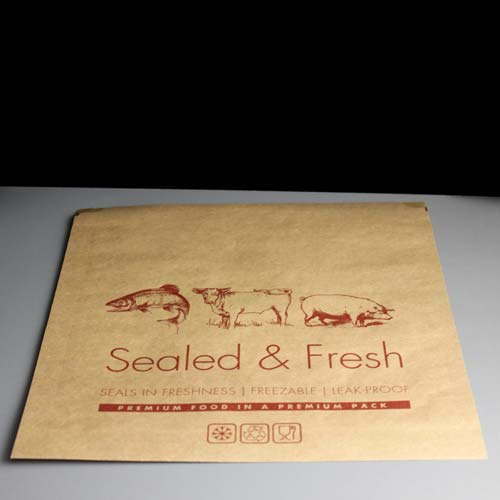 A "Sealed and Fresh" brown kraft paper bag, grease and moisture resistant and with a peelable sticky gum strip across the top allowing it to self-seal. 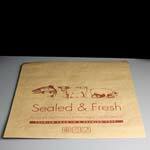 Use for raw meat, fish and cheese to seal in the freshness, the bag is also freezable and leak-proof. Approximately 10 x 10 inches or 250mm x 250mm. Brown kraft paper - 50 GSM with a LD PE lining.